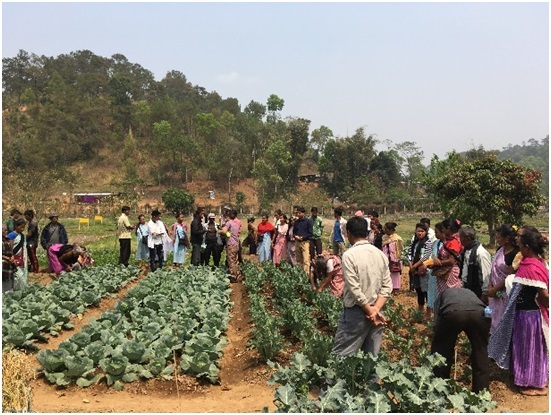 A field day on ‘Integrated Organic farming system for improving system productivity and profitability” was conducted on 26th March, 2019 by Division of Crop Production, ICAR Research Complex for NEH Region, Umiam under the Network Project on Organic Farming (NPOF). 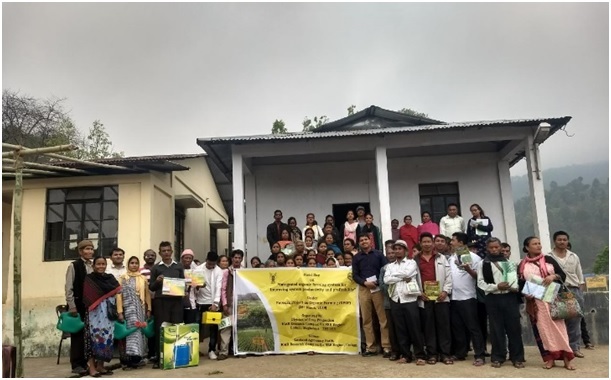 The programme was attended by 80 farmers from different villages of Ri-Bhoi district, Meghalaya viz., Pynthor, Mynsain, Umdeb Umbathiang and Mawthei. The farmers were apprised the need of Integrated Organic Farming System (IOFS) for enhancing the system productivity and income of the farmers. The net income from an IOFS model with an area of 0.43 ha has been recorded at Rs. 62,531/- per year which is much higher than the income of farmers’ common practices of rice mono-cropping or rice-vegetables cropping system. Dr. R. Laha, Principal Scientist and in-charge, Director of the Institute highlighted the importance of livestock including poultry in integrated organic farming system for supply of quality manure and give subsidiary income through selling of milk, meat and eggs. Demonstration on organic farming system and no-till organic cultivation of pea, mustard and lentil in rice fallow, field visit as well as practical demonstrations for composting, vermiwash preparation were done. A scientists and farmers’ interaction programme was organized regarding seed production technology, soil health test and organic insect pest and disease management options. Various inputs like improved seeds of vegetable, organic pesticides and small farm tools like knapsack sprayer, watering can etc. were also distributed to the farmers. The programme was coordinated by Dr. Jayanta Layek, Dr. Krishnappa R, Dr. Amit Kumar and Dr. Subhash Babu.